Magnificent home situated on an elevated site. 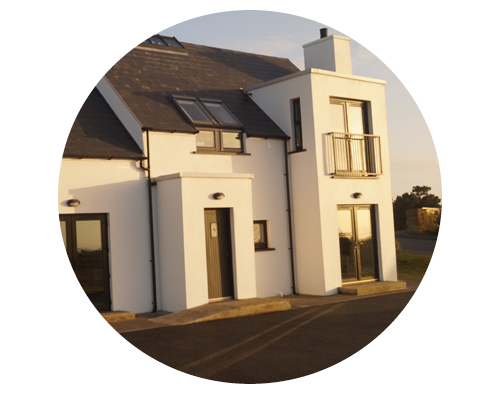 Solid timber within, tastefully decorated to a high standard. Tarmac driveway with lawns in place. 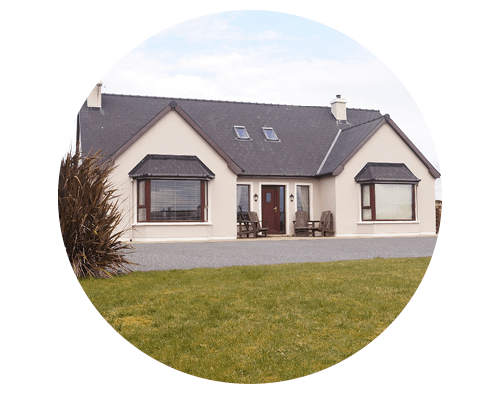 Within close proximity to Foreland Heights Hotel, Óstan Teach Jack and beaches. 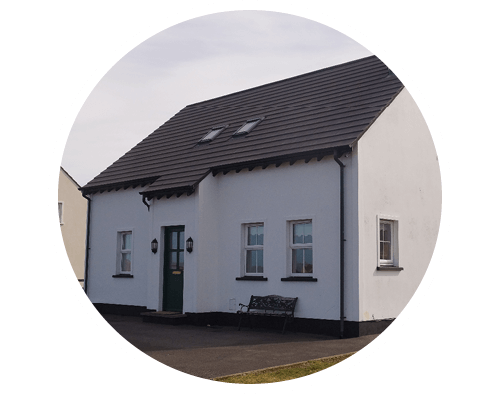 Established in 1988, Mc Bride Auctioneers has been operating in Derrybeg, Gweedore in the north west Donegal Gaeltacht almost 30 years. Eamonn Mc Bride (SCSI RICS) has run the family estate agents and auctioneers since its inception, and has built up an unrivalled expertise in the property business including residential sales and lettings, valuations, commercial sales and lettings. Eamonn Mc Bride is also a Commissioner of Oaths in the Donegal region (appointed by the Irish Supreme Court). Mc Bride Auctioneers prides itself on a professional, transparent, customer-focused and friendly service. 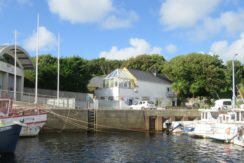 As Eamonn and his staff are fluent Gaeilge (Irish speakers) Mc Bride Auctioneers are proud to offer a bilingual service. Gaeilge agus fáilte. 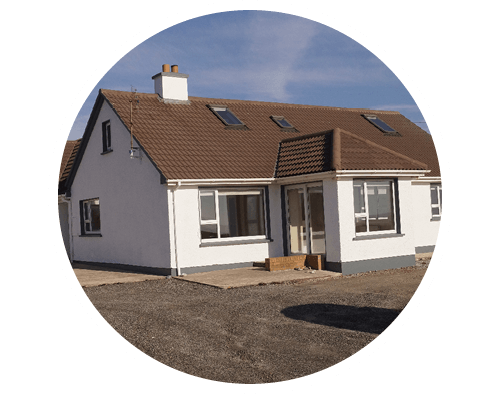 Mc Bride Auctioneers’ client base covers an extensive radius outside of our office in Gweedore, from Glenties in the south of the county as far north as Dunfanaghy and the offshore islands. 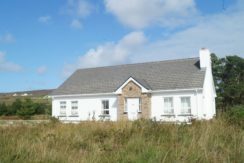 Ó Cuireadh ar bun é sa bhliain 1988, tá Ceantála Mhic Giolla Bhríde ag feidhmiú i nDoirí Beaga, Gaoth Dobhair in iarthuaisceart Thír Chonaill le beagnach 30 bliain. 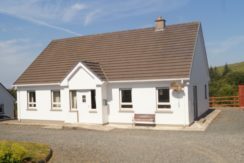 Tá Éamonn Mac Giolla Bhríde (SCSI RICS) i mbun ghníomhaireacht eastáit an teaghlaigh ó cuireadh ar bun é, agus níl sárú ar an taithí agus an saineolas atá aige i ngnaithí réadmhaoine, lena n-áiritear díolacháin agus ligean áitreabh, luachálacha, agus díolacháin agus ligean tráchtála. Tá Éamonn Mac Giolla Bhríde ina Choimisinéir Mionnaí i réigiún Dhún na nGall (le ceapachán ó Chúirt Uachtarach na hÉireann). 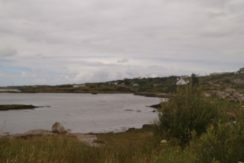 Tá Ceantála Mhic Giolla Bhríde bródúil as seirbhís ghairmiúil, thrédhearcach, chairdiúil a thabhairt atá dírithe ar na custaiméirí. Tá Gaeilge líofa ag Éamonn agus a chuid fostaithe, agus beidh áthas ar Cheantálaí Mhic Giolla Bhríde seirbhís dhátheangach a chur ar fáil. Gaeilge agus fáilte. 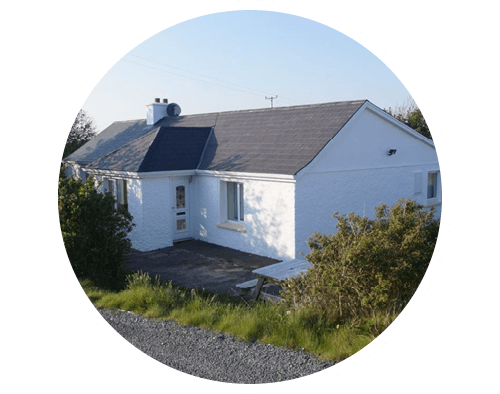 Tá réimse leathan cliaint ag Ceantálaí Mhic Giolla Bhríde a shíneann amach ónár n-oifig i nGaoth Dobhair, ó na Gleanntaí ó dheas chomh fada ó thuaidh le Dún Fionnachaidh agus na hoileáin amach ón chósta.